With intensified threats to global security from international terrorism worldwide, education systems themselves face these same unprecedented security threats. Schools and universities have become marked loci of interest for the monitoring of extremism and counter-terrorism by security and intelligence agencies. The relationship between education systems and national security is nothing new though – it extends in surprising and unexpected ways into territory which is by turns open and covert, even secret. 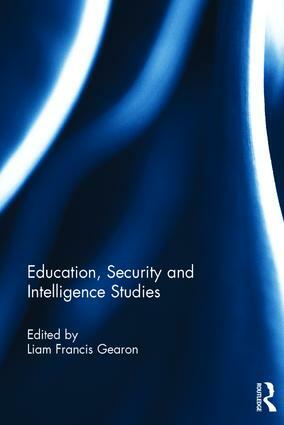 Acknowledging the genuine political and security concerns which have drawn educational systems ever closer to the intelligence community, this book shows how and why this has happened, and explains why the relationship between education and the security and intelligence communities extends beyond contemporary concerns with counter-terrorism. As the title of this book demonstrates, this is as much an intellectual challenge as a security struggle. Education, Security and Intelligence Studies thus critically engages with multi-disciplinary perspectives on a complex and contentious interface: between systems of often secret and covert national security and intelligence and open systems of national education. Delving into difficult to access and often closely guarded aspects of public life, the book provides the pathfinding groundwork and theoretical modelling for research into a complex of little explored institutional and epistemological interconnectedness between universities and the security and intelligence agencies. This book was originally published as a special issue of the British Journal of Educational Studies. Liam Francis Gearon is an Associate Professor in the Department of Education and a Senior Research Fellow at Harris Manchester College, University of Oxford, UK. The author or editor of over twenty-five books, he has undertaken funded research for the Arts and Humanities Research Council, the British Academy, the Leverhulme Trust, the Philosophy of Education Society of Great Britain, and the Society for Educational Studies. He is also a Fellow of the Royal Society of Arts.